He is one of the U.S.'s most prominent financial and political journalists, known for his in-depth knowledge and compelling writing style. As Vice President and Executive Editor, he built msnbc.com from scratch into one the of the Internet's most informative and vibrant news platforms. He is a widely-read author whose close access to the Obama Administration has led to three best-selling books on Barack Obama's career and presidency. A veteran reporter for influential publications such as Newsweek and The Financial Times, Richard Wolffe is among the handful of foreign journalists who have made a name for themselves in the world of Washington politics. The MSNBC analyst is one of the select few who have covered Barack Obama’s national political career from the earliest days when most political analysts considered the idea of an Obama presidency improbable at best. A graduate of Oxford in English and French literature, Wolffe launched his media career as financial and political reporter for the United Kingdom’s prestigious Financial Times. After four years of domestic coverage, he received the honor of becoming the newspaper’s U.S. foreign correspondent, placing him in the country just in time to report on such major stories as George W. Bush’s presidential campaign and the historic Microsoft Antitrust trial. As an independent journalist, Wolffe has written several best selling and impactful investigative books. In the 1990s his coauthored work, The Victims’ Fortune drew public awareness to the legal action on two continents leading to European banks and German and Austrian companies paying billions of dollars in compensation to Nazi victims. His books on the Obama campaign and White house have shed light on Obama’s legacy, recording exclusive information on the behind-the-scenes events of his campaign and administration. Wolffe served as the Vice President and Executive Editor of MSNBC.com, which he helped build from the ground up. He is currently the chief digital and marketing officer of Global Citizen, which under his watch has turned into “the BuzzFeed of Social Activism.” His insights and analyses can be read in his regular column for The Guardian. Richard Wolffe is a New York Times bestselling author, former Executive Editor of msnbc.com, and a political analyst on msnbc television. He covered the entire length of Barack Obama’s presidential campaign for Newsweek magazine, traveling with the candidate and his inner circle from his announcement through election day, 21 months later. His book about the Obama campaign, Renegade: The Making of a President became an instant bestseller. 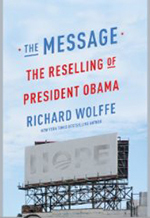 His latest book is The Message: The Reselling of President Obama. Wolffe appears frequently on many MSNBC shows, including Morning Joe, Politics Nation and The Last Word. On NBC, he has been a political commentator on Meet The Press and Today. His earlier work for the Financial Times included extensive coverage of the Microsoft antitrust trial and the Clinton administration’s plans to break up the company. 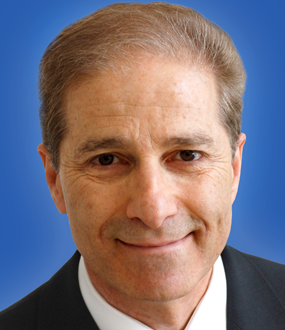 His reporting and writing on regulatory and business issues in Washington included covering the Treasury Department, the Federal Trade Commission, the Securities and Exchange Commission, and the Commodity Futures Trading Commission. 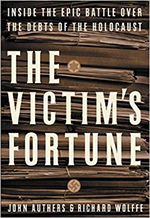 Wolffe is the co-author of The Victim’s Fortune, (HarperCollins), which reveals the behind-the-scenes deals that led to billions of dollars in compensation to the Nazis’ victims in the late 1990s. His reporting for the book covered major European companies such as Deutsche Bank, Daimler and Société Générale. 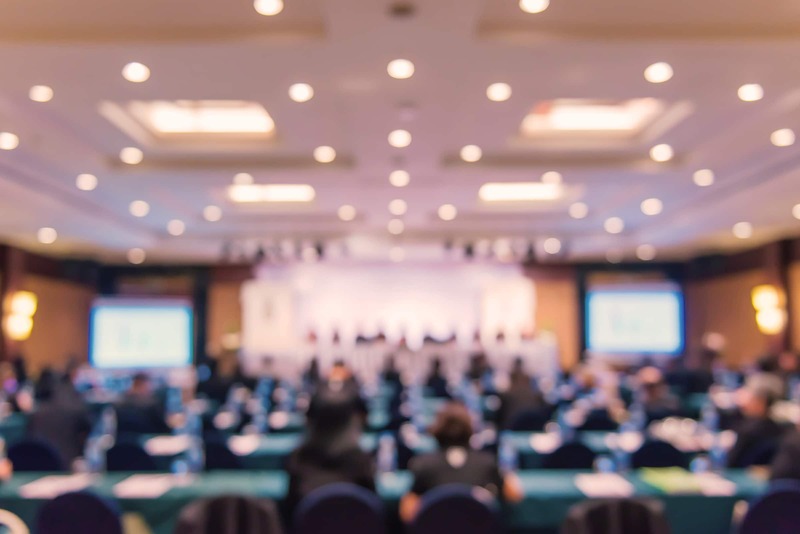 It also encompassed government officials across Europe and the United States, and several high-profile class action lawyers. His next book was in an entirely different field: he is co-author of a Spanish cookbook, Tapas: A Taste of Spain in America, published by Clarkson Potter. He co-wrote a follow-up book Made in Spain, and a 26-part TV show of the same name for PBS television. He has also written for food magazines such as Food Arts and Food and Wine. Wolffe’s movie career has been mercifully brief. He made a cameo appearance interviewing Jim Carrey in the otherwise hilarious The Incredible Burt Wonderstone. Less amusingly, he is featured prominently in the HBO documentary on the Obama campaign, By the People, and played a leading role in the HBO documentary of the 2000 Bush campaign, Journeys with George. Born in Birmingham, England, Wolffe graduated from Oxford University with first-class honors in English and French. He lives with his wife and their three children in New York. Richard Wolffe recalls his time at the 2004 Democratic National Convention where he witnessed a young junior senator named Barack Obama give the keynote address that turned him into a household name virtually overnight. A skilled storyteller with decades of experience in Washington D.C.’s inner circles, Richard Wolffe imparts informative insights on politics and economics, including both domestic and foreign affairs. Drawing from his background as a U.K citizen with Middle Eastern roots, he brings a unique sophisticated and cosmopolitan angle to the major news items playing out in the United States and the world. As one of the few journalists who has intensively covered the Obama legacy from his national break-through at the 2004 convention to his later days in the Oval Office, Wolffe is one of the nation’s most credible experts, going beyond media headlines and agendas to get to the heart of what is really happening in the White House, Wall Street, and the world as well as how the different parties and key players affect each other and shape our reality. Obama came into power promising big changes at home and overseas, but was it too much for the nation and for business? What will his second term bring to the electorate? The Republicans promised change when they took back the House of Representatives in the 2010 elections but all the nation experienced was a stalled, divided government. Richard Wolffe, a political analyst with global experience covering the biggest stories of the last decade, offers a road map to understanding the dynamics, characters and disputes that shape the White House, Congress, the world beyond the Beltway. From what's happening in Washington and on Wall Street to what's going on inWestminster and the West Bank, Richard Wolffe can make sense of it all. From Crisis to Crisis: What Lies Ahead for President Obama and his White House? In the years since his extraordinary election, President Obama has lurched from crisis to crisis, from epic highs to disastrous lows. Why does President Obama keep sinking into these holes and how does he dig his way out? What does it say about his character, his management style, and his inner circle? What role is played by the political and media culture of today’s Washington? With unrivaled access to the President and his inner circle, Richard Wolffe reveals the true story of a deeply divided White House. Drawing on his unmatched experience of covering the length of the Obama campaign, Wolffe explains how the second half of Obama’s presidency will change—and how it will stay the same—with a new team inside the West Wing. Where does President Obama fit on the economic spectrum? What advice and relationships does he rely on as he crafts business legislation? In its first phase, the Obama White House was confronting economic and financial collapse. In its second phase, it began a broad effort to find a balance between business and government. Now in its third phase, Obama’s team is leaning heavily on new regulations. Drawing on unrivalled access at the White House, as well as a decade of financial and business journalism, Richard Wolffe explains how the new economic and political teams inside the West Wing—and a new presidential focus on deficits and the political center—will shape the business outlook in the Obama presidency. Is President Obama a dove or a hawk? Where will he lead the world on terrorism, free trade, climate change, and the Middle East? Obama’s interactions with the emerging economies of China, India and Brazil are shaped not just by his dealings with their leaders but by his personal appeal to their massive populations. Obama has a hugely ambitious agenda that contrasts sharply with his predecessor’s—both in style and substance. Will the Obama agenda have any impact in a world that seems to be spinning away from American dominance? Or will the world naturally lean towards American leadership as it has so many times before? Based on exclusive interviews with Obama over the last four years, and drawing on decades of foreign policy expertise, Richard Wolffe explains how the next two years of American diplomacy and power will be critical not just to a presidential legacy, but also to the shape of a new world order that is rapidly emerging. Wolffe began writing about American politics as a senior journalist at the Financial Times, serving as its deputy bureau chief and U.S. diplomatic correspondent in Washington, D.C. There he covered business and political affairs and reported on U.S. foreign policy. His earlier work for the Financial Times also included extensive coverage of the Microsoft antitrust trial and the Clinton administration’s plans to break up the company. 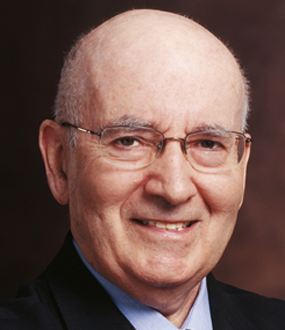 His work on regulatory and business issues included covering the Treasury Department, the Federal Trade Commission, the Securities and Exchange Commission, and the Commodity Futures Trading Commission. With an extensive background in financial and business reporting for more than eight years, Wolffe addresses the current global fiscal crisis and the economy. 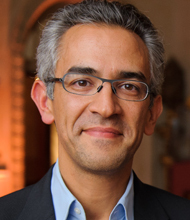 As a political analyst in both the United Kingdom and America, Richard Wolffe appears as a commentator frequently on MSNBC, NBC, CNN, Fox News, and international media including British, Canadian, and Australian television. A journalist for both the Financial Times and Newsweek, he covered U.S. foreign policy during a post-9/11 era and the war in Iraq. Wolffe has also extensively interviewed two Presidents—George W. Bush and Barak Obama—and their national security aides on foreign policy. 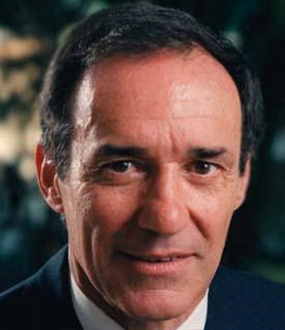 Wolffe’s understanding of American leadership in the world was also shaped by his perspective as a widely-travelled journalist and analyst born in Europe who has personal ties to North Africa and the Middle East. 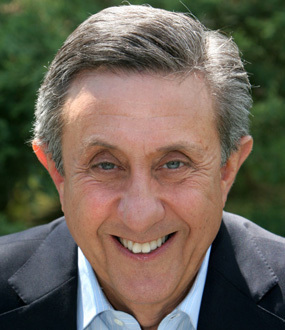 He addresses world affairs from a holistic perspective and gives a fresh viewpoint on the world’s most pressing issues. I want them to sense what it’s like to enjoy a front row seat to history, which I’ve been incredibly fortunate to experience. WOLFFE: I’d like them to take away a broader view of the world and how it relates to their lives: whether that’s about US politics, international affairs, economics, technology or the media. Furthermore, I want them to sense what it’s like to enjoy a front row seat to history, which I’ve been incredibly fortunate to experience. WOLFFE: I want to understand what my audience is expecting to hear, and what my partners would like them to hear. I tailor each talk to my audience because every event is unique. Given my line of work, I of course make sure that my talks are up to date with the latest information and insights. I love those moments when I recount some anecdote of traveling with a candidate or president and find at the end of the talk that there’s someone in the audience who was present at the same event, with a different perspective. WOLFFE: I love those moments when I recount some anecdote of traveling with a candidate or president and find at the end of the talk that there’s someone in the audience who was present at the same event, with a different perspective. Those are always eye-opening experiences for me. For the most memorable event, though, it’s hard to beat my high school commencement speech. I had not set foot in my high school since the day I left and it was really emotional to return there and share my insights. I expected the place and the students to have changed a lot in the intervening decades, but it really had not changed much at all. WOLFFE: Anyone who loves narrative-driven insights. I’m a storytelling journalist by training and experience. Whether the subject is covering a presidential campaign, or the global economy, I’m going to engage an audience through stories and data. WOLFFE: I do love telling war stories about covering presidents and presidential candidates, but I’m also passionate about foreign policy, trade and aid, and how both national security and global economics combine to affect so many lives. Also, I am obsessed with how technology is revolutionizing the media and our culture. WOLFFE: I grew up as the son of a teacher and university lecturer. I can’t resist the desire to explain my insights to audiences, whether in person or on television. For me, speaking engagements are a natural extension of my writing, reporting and professional experience. Why this election has been so different and what may happen afterwards. The conditions and challenges the next president will inherit. How technology has disrupted campaigns and "politics as usual." "The weaknesses of the two major party nominees do reflect fundamental challenges to the political establishment that are not unique to the US." They had 99 problems but Mitt Romney wasn’t one. At the start of an epic election, the team trying to reelect President Obama faced a mountain of challenges: a dismal economy, the faded hopes of the first campaign, and a struggle to raise enough cash to compete. No president had risen so fast, or fallen so far, in the modern era. And no president in living memory had earned a second term in such troubled times. To resell the president, they needed to redefine the world they were living in. They needed to retell their own story and rewrite the characters. They needed to find The Message. But first, they needed to fight the enemy within: each other. For six years they kept a lid on their internal disputes—the ego clashes, the disappointed ambitions, and the battle to control the Obama brand. Everything was out of public view and under wraps. They called their style No Drama Obama, and the phrase matched the mood of the candidate. But it was never completely true. In 2008, they found a way around their rivalries. Four years later, their hostilities threatened to undermine the reelection of a president at a time when most voters were deeply unhappy and ready for change. Drawing on unrivaled access to the key characters, The Message tells the inside story of the Mad Men—the marketers, message-shapers, and admakers—who held the Obama presidency in their hands. An extraordinary behind-the-scenes story of money, justice, and the fallout that remains from the twentieth century’s worst crime. In April 1996, a billionaire businessman pulled aside Hillary Rodham Clinton at a political fund-raiser in his Manhattan apartment. Handing Mrs. Clinton a magazine article on the secretive Swiss banks, Edgar Bronfman launched an emotional fight for the forgotten fortunes of the Nazis’ victims. The First Lady took the bait, and with a simple call to her husband, set in motion a whirlwind of events that rewrote history and offered a last glimmer of hope to a dwindling number of elderly war survivors. Backed by the White House, a small group of Americans embarked on an epic journey to pursue the debts owed to Holocaust victims for more than a half century. For five years they traveled from country to country and company to company, confronting those who profited from the war—the bankers, insurers, and industrial executives who never fully acknowledged their companies’ complicity in the Nazi crimes. Armed with class-action lawsuits and threats of economic sanctions, the disparate band of American lawyers, politicians, and Jewish groups fought fire with fire against some of the world’s most powerful corporations and governments. But what began as a moral crusade quickly degenerated into a bare-knuckled global battle that opened up painful debates about justice and how to achieve it. The demands for billions of dollars in restitution triggered bitter disputes over who should pay the survivors and who should receive the cash. Many Europeans dismissed the demands as blackmail. The Victim’s Fortune tells the remarkable tale of the Americans who cajoled, bullied, and squabbled their way across the world. It also reveals how Europeans first stonewalled, then nickel-and-dimed their way toward peace with the past. John Authers and Richard Wolffe offer a spellbinding investigative account of this momentous international struggle, which has blazed a trail for future reparations settlements of every kind.